As smartphones assume a more central role in the lives of consumers everywhere, alternatives to traditional payment methods are increasing. Two groups in particular are at the forefront of steering the shift from traditional payment methods: millennials and video gamers. 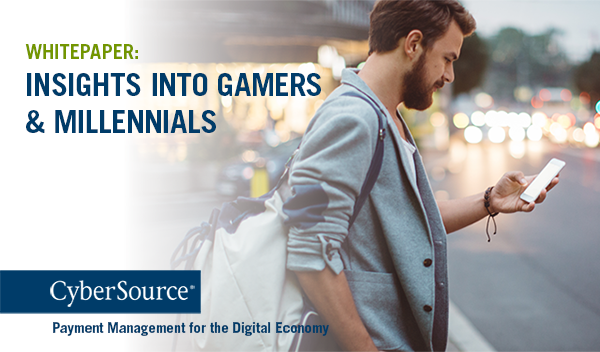 CyberSource teamed up with Newzoo, a leading provider of games, mobile and esports intelligence to survey millennials and video gamers on their shopping and payment preferences. Download the whitepaper to learn more about these two important segments.